Remember When George W Bush Was The Worst Thing Happening To America? Once upon a time George W Bush made me throw up in my mouth. From weapons of mass destruction lies to the Hurricane Katrina debacle, his administration peppered every measure of decency with hypocrisy. Personal frustration gagged at every Bush simper, bumbling attempt to feign good old Texas boy sincerity and puppy dog eyed protestation of honorable intent. 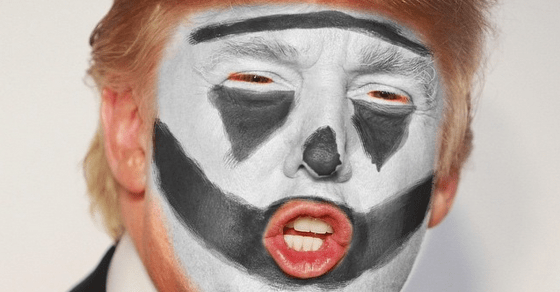 Who knew that one day remembering Bush meant oddly nostalgic recollections of Bozo the Clown.Who knew Trump’s Insane Clown Posse would control the Big Top. In 2006 Neil Young’s album Living With War sang Bush protest. “Lets Impeach The President” balked at lies, abuse of power, racial injustice, fear mongering and war.Eleven years later, calls to impeach Bush teeter on laughably quaint reminders of a simpler time. The full moon closest to the fall equinox is the ” Harvest Moon” – those of us in the northern hemisphere can expect a behemoth moon rising shortly after sunset tonight. Harvest moons appear larger because of the ecliptic orbit of our moons path in relation to the earth. The same phenomenon that sees the moon rise 20 minutes or so earlier than normal, forcing us to view it through thicker atmosphere – accounting for characteristic orange monster moons. The harvest moon is familiar to just about everyone – our moon has many names, depending on the time of year. January brings the wolf moon; named by native Americans and medieval Europeans for the howling of hungry wolves in the dead of winter. February sees the storm, snow and hunger moon rise in the icy sky. Native Americans called the last full moon of March the worm moon after worm trails that appeared in the thawing snow. The Pink moon of April is for blossoming trees, also known as the sprouting grass, fish, and egg moon. May’s flower moon or corn planting moon is followed by the strawberry moon to native Americans or rose moon to Europeans. Native Americans saw the full moon of July as the buck moon, for male deer shedding their antlers. The sturgeon moon of August for plentiful fish, also called the green corn, grain, and red moon. September’s harvest moon is followed by the hunter’s moon in October. November has the beaver or frost moon, finally the cold or long night moon of December. I went outside for an early howl at the harvest moon. Clouds wrapped every corner of the sky, and still the moon cast my shadow. Second thoughts on considering my neighbour’s baby, compounded by scrutiny from the old woman in the window of the retirement home, stifled my bravado. Instead I did a little moon dance while humming Neil Young’s Harvest Moon. The link that will answer any astronomical question…..
Every once and a while I stumble upon a great cover of some song I love. “Covering” another artists music is tricky; especially if the song is well known, or the artist has a unique voice or style. Tribute bands can scrape together a living playing rock for booze fuelled patrons in bars across the country; most likely decent musicians, but lacking the creativity or inexplicable quality to set them apart. Often the most appealing “covers” are those performed by an artist who simply plays “tribute” by singing something from their heart and soul. No pretention, no mimicking, no effort. 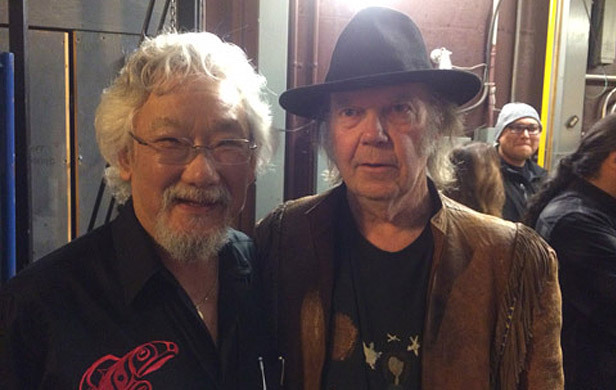 It’s no secret Neil Young is one of my favourite artists, I would place him at the top of my list. This lovely cover of Old Man by Elen Wendt put a smile on my face. In part because Neil Young is my hero – a Canadian who sings of impeaching George Bush – in part because I actually miss the insanity of the Bush years, and in part because this simplistic little melody cracks me up. I hasten to add my mirth is more of a “holy crap” moment, remembering George Bush days.